A research letter published in The Journal of the American Medical Association Internal Medicine (also known as JAMA) was picked up by many major news outlets and highlighted concerns about supplements, in this case vitamin D. Researchers purchased vitamin D supplements from 12 different manufacturers and sent them off to an independent lab for analysis to compare against their supplement label facts. The results were surprising. They revealed big discrepancies – 30 percent of the results were such that the products were either too high or too low according to the U. S. Pharmacopeial Convention (USP). Like most people, I have always assumed if a product says it has “x” in it, that’s what it is. For example, a one-pound bag of carrots should contain 16 ounces of carrots, the food ingredient label must be accurate if it states that one cup equals 50 calories, and the supplement panel must be right if it says one tablet equals 250 micrograms (mcg). Well apparently it’s not that simple! 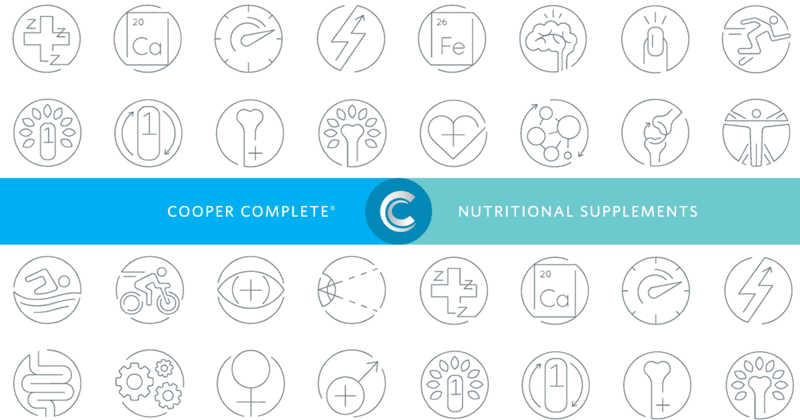 So, what’s the story on supplement label facts – can you trust the label on your vitamins and supplements, and feel safe when choosing Cooper Complete supplements (vitamin D or otherwise)? Each order of product we receive from our manufacturing facility has a certificate of assay (COA) that goes with the “lot” of product received. The “lot” is for the particular batch of product that’s been made. And the supplement label facts on the side of the bottle essentially document the recipe – so our bottle of vitamin D will show each softgel contains 25 mcg (1,000 IU) Vitamin D3 in the cholecalciferol form. For Vitamin D, the specification has been written that the product meets label claims if it contains as little as 22 mcg (900 IU) or as much as 43 mcg (1,750 IU) per tablet. While this variance might seem wide (there’s usually a bigger allowance for overages and not more than a 10 percent variance for being under the stated level), it really isn’t. As a home cook, I’ve made chocolate chip cookies too many times to count. I use a mixer to work the chocolate chips evenly into the dough, and then a scoop, which ensures a standard cookie size, to scoop them out. Despite thoroughly mixing, and using a scoop to ensure each cookie is the same size, if I pull apart a couple of scoops of dough, it’s not unusual for the number of chocolate chips to vary. Manufacturing vitamins isn’t all that different. 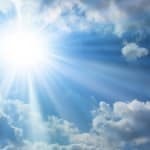 In the JAMA article, laboratory results of vitamin D contained in a single pill, tablet or capsule ranged from as little as nine percent to 140 percent – but when researchers tested five pills from each bottle and averaged the results, the levels were closer to 100 percent! On the COA that our manufacturing partner, Tishcon Corp., sent us for a recent lot, they reported 29 mcg (1,156 IU) per tablet. On the same COA, Tishcon also tested the disintegration (rupture) time or the amount of time it takes for the softgel to dissolve, and for heavy metals (lead, mercury, cadmium, and arsenic), as well as microbiological tests for salmonella, E.coli, Staphylococcus aureus, and Pseudomonas aeruginosa. We also like to periodically send a couple of bottles to an independent laboratory to check their results. I also want to point out that there are a lot of different lab tests that can be run on various ingredients, and the protocols used for the various tests can also impact the outcome. So even just saying “test this to make sure it meets label claim” isn’t that easy. While vitamin D is a standalone product, the manufacturing process is also tricky when multiple ingredients are blended together, as it’s not uncommon for one ingredient to impact the potency of another. Vitamin D has a “shelf life” or “recommended use by” date that’s two years from the time of manufacturing. As time goes by, it’s not unusual for the potency of the product to degrade slightly. And, if a product has been stored outside of the recommended temperature guidelines, the potency can be significantly degraded. This is why we really don’t want vitamins to be stored in the cup holder of a car – depending upon the part of the country and time of year, it gets way too cold or hot. In any case, it’s entirely possible, and in fact expected, that if we re-tested samples from a lot closer to the end of the two year period, we might find that the level of D has fallen slightly. So, we like to see an ingredient be a bit higher than the label claim when it’s fresh so that it will still meet claim at the end of its’ shelf life. Going back to the JAMA study, when a batch of different Vitamin D products, or any other supplement, is pulled off the shelf for testing, I’ve come to wonder what exactly is being tested, and what specific test methodology is being used. For example, my understanding is that the test protocol doesn’t ever test single tablets or pills – it’s a combination of multiple tablets, and in fact, we always send two bottles of product from any “lot” to make sure there’s plenty of product to blend together and then sample. And, going back to the food example, I’ve also come to realize that when I buy a packaged product (carrots, shrimp, potato chips, etc. ), I should assume that the calorie count is going to be a bit higher to allow for overages the manufacturer has likely included in an effort to ensure the serving size on the label claim is met. Just as the contents of chocolate chip cookies aren’t the same from brand to brand or home cook to home cook, the same is true of supplement manufacturing facilities. They genuinely run the gamut from pretty incredibly crude to state-of-the-art spotless FDA wonders, and as consumers, we honestly don’t have any clues about these conditions when we make a purchase. To protect yourself, talk with your supplement supplier about where their products are manufactured, the steps they take to ensure consistency and ask to see a COA. Article provided by Jill Turner, President, Cooper Complete .